Shows in China and NZ amongst busy Australian touring schedule. Martin Plaza off the road for long periods while dealing with chemotherapy. Mike Caen and Craig Gordon take turns to step back in to cover Martin’s guitar parts. October Martin back in but has to pull out after a month and Tony Adams (ex Riptides and Cyberia) joins to finish the year. While Martin has been out all the shows have been extremely well received and the Mentals are at the top of their game. The audiences have been united in sending healing thoughts to Martin. As of Christmas 2016 he is responding very well to a new chemotherapy treatment and sitting on a fresh batch of songs. Mentals sign with Demon Music ( part of BBC Worldwide) for U.K. and Europe. Bassist Zoltan Budai leaves and is replaced by James Gillard who has played with Mondo Rock, Casey Chambers, Lee Kernaghan and Jimmy Barnes. Late in 2015 release of first single for many years “Shake Off Your Sandals”produced by Steve James. Mentals sign with Universal Music. Guitarist Mike Caen leaves to concentrate on a solo album and his Bar Tones band. He is replaced by Martin Cilia who after ten years has just finished the last tour of legendary Australian surf band The Atlantics (with their international hit Bombora). He also played in the eighties with Dave Warner’s From The Suburbs. September Martin Plaza undergoes surgery to remove a kidney tumour. Craig Gordon from Mr Breeze covers Martin’s guitar parts while Greedy sings Martin’s songs. ‘Let’s Cook’ recorded with the Wiggles. Long time connection with Cockroaches. Touring Australia extensively. Win Mo award best original live band. Wiggles win Aria for best childrens album with Let’s Eat featuring the collaboration with Mentals on ‘Let’s Cook’. 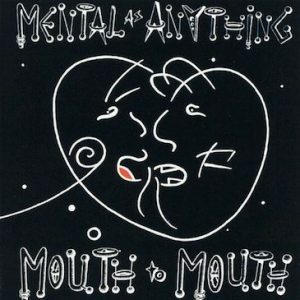 Warner Music Australia discover they have Mentals on their roster and plan to relaunch the greatest hits. 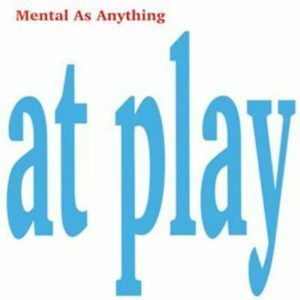 The revamped collection called “Essential As Anything” contains “Close Again” and Martin Plaza’s solo monster “Concrete n’ Clay”, and as a bonus Monumental 1 & 2 – 37 of the Mentals video clips on DVD for the first time ever. The band’s back catalogue is now made available for digital download on iTunes. The Mentals started out on vinyl records and have ended up on the net. What next? The Release of CD and DVD collection Essential As Anything on Warner Music. For the first time all the original hits and videos are available together. 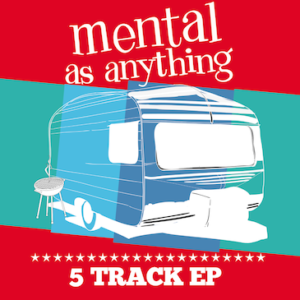 Mentals most well known tracks are now made available through ITunes and Rhino around the world. 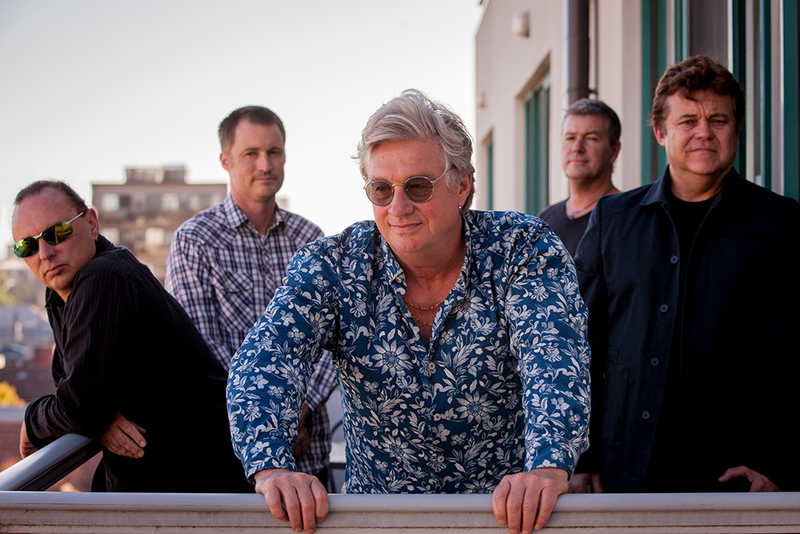 In September Mental As Anything are inducted into the Australian Record Industry Association’s Rock and Roll Hall Of Fame along with Little Patty, Kev Carmody, The Dingos and John Paul Young. 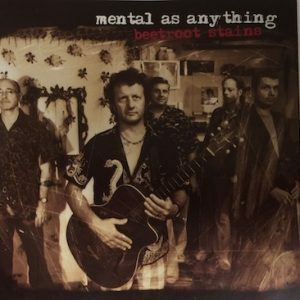 Around this time Warner Music releases Tents Up an album of new original Mentals compositions recorded at Electric Avenue in Sydney and mixed by Steve James at Rocking Horse near Byron Bay. Release of new original album “Tents Up” on Warner Music – the culmination of all the effort, blood, sweat and tears of the past most tempestuous five years in the life of Mental As Anything. 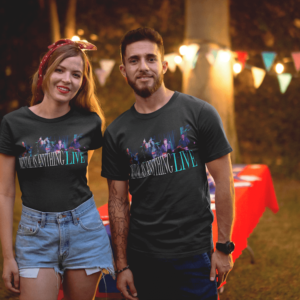 The band continues touring to promote both releases including a series of australia-wide A Day on the Green concerts with the B52s and the Proclaimers. The Mentals head into Electric Avenue Studios in Sydney to lay down tracks for Tents Up. This is the most satisfying recording experience for the band in a long time, but it turns out due to legal issues, it will be a long time before it will be released. Most of the tracks are mixed at Rocking Horse Studios, Federal in northern NSW, by Steve James (“Rock n’ Roll Music” producer) and mastered by Aussie Leon Zervos at Stirling Sound, New York. While this is going on, the band is constantly touring Australia with detours to Shanghai and Macau and a short tour of Port Moresby in early 2007. Release of Plucked. An album of acoustic recordings of familiar Mentals tunes for Liberation Blue. This shows Mentals classic repertoire in a thoughtful mood. Produced by the band, mixed by John Haeny (Linda Ronstadt, Little Feat and The Doors). This gives the new line-up a taste for recording to be realised with the sessions for a new original studio album. Continues touring. September – David Twohill aka Wayne de Lisle aka Bird is asked to leave. He is replaced by the charming and talented Robbie Souter, drummer with the Dynamic Hepnotics and then Slim Dusty for the last fifteen years of Slim’s career. Release of Roadcase. Recorded and mixed by David Barraclough and the band. Continued touring in Australia. 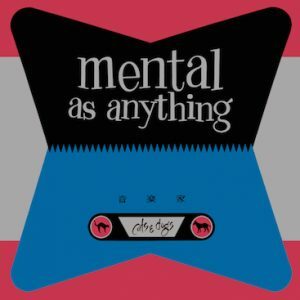 Mentals drop Cranium Management and appoint Grant Bartlett as manager of Mental As Anything touring. Murray Cook replaced on guitar by Mike Caen in March. Originally a New Zealander, Mike is a most talented guitarist, songwriter and composer (recorded by Darryl Braithwaite, Dragon and Marc Hunter among others) and has played with Dragon, Jenny Morris, Margaret Uhrlich, Pink Slips and Street Talk. He keeps in the band that bit of Kiwi sensibility from Reg and Pete. Roadcase album recorded and Australia toured. Video clip for “Stretchmarks” directed by Mark Hartley. Walkabout Club Shepherd’s Bush, London; King Tut’s Wah Wah Hut Glasgow, and Whelan’s Pub, Dublin. Short but successful OS tour. More touring across Oz. Mentals play Ho Chi Minh city in Vietnam on Australia day. Soon after, Reg Mombassa leaves the band to concentrate on his art. He is a major designer for the closing ceremony of the Sydney Olympics. He also continues as a major designer for Mambo Surfwear and he continues to have sell-out exhibitions of his painting, drawing and print making, both in Australia and overseas. Both Peter and Reg will continue to successfully perform and record as Reg and Pete’s Dog Trumpet. Meanwhile back in the Mentals, Reg is replaced on guitar by Murray Cook, a gifted multi-instrumentalist who has played with Midnight Oil, Warumpi Band, Mixed Relations, Marlene Cummings, Leah Purcell and Lock, Stock and Darryl. Recorded Beetroot Stains album produced by the band, recorded by David Barraclough, mixed by John Haeny, Andrew Beck and Jonathon Burnside. Bass player and songwriter Peter O’Doherty leaves the band to become a full-time painter. He goes on to win numerous art prizes and continues to this day to have very successful exhibitions around Australia and abroad. He is replaced by Rockhampton raised David Barraclough who had spent the previous seven years as guitarist for New Zealand pop rock idols The Exponents. He decides to switch to bass for The Mentals. Release Garage LP. Mentals III art exhibition opened in Sydney by ex- PM Gough Whitlam. This exhibition then tours Australia continuously till late 2002. Marianne, the final single from Liar, Liar…, is released and the band retreat into the studio to work extensively on their new album., An appearance at the Mountain Rock Festival in New Zealand, followed by the Australian Tour with Chris Isaak and a tour of New Zealand with The Exponents. 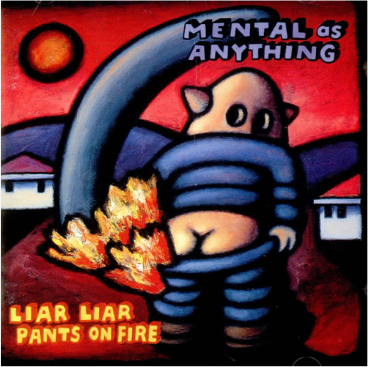 The album Liar, Liar Pants on Fire enters the top 40, to glowing reviews, and the single Mr Natural hits Top 30. Two other singles are released – Nigel, which instantly becomes a radio hit, and Whole Wide World, a cover originally written and recorded by Reckless Eric. Then deputy Prime Minister, Paul Keating, opens second Mental As Anything Art Exhibition with works by all five Mentals attracting huge critical acclaim. It tours Tamworth at the Country Music Festival, travelling on to Melbourne, Lismore, Campbelltown and back to Sydney. Another Top 40 Album – Cyclone Raymond with the No.15World Seems Difficult and top 5 hit Rock n Roll music. Release Top 20 album Mouth To Mouth. Singles Let’s Go To Paradise & He’s Just No Good For You also enter Top 20. – Band tours UK again and then N.E. USA and Canada with Robert Palmer. 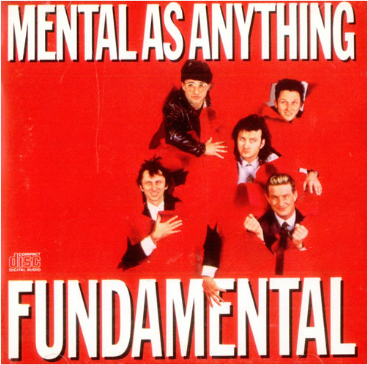 Fundamental As Anything – Platinum Best Selling Australian Album – Live It Up – Best Selling Australian Single – singles You’re So Strong( No. 8) / Date With Destiny(No. 18) – multi platinum Greatest Hits Vol I goes to No. 2 on the charts – Live It Up received Apra award for most performed work and Countdown award for best single and song writer. Tour USA. Release single I Didn’t Mean To Be Mean (produced by Elvis Costello). First single, Close Again, from the album Creatures Of Leisure. Band tours U.S and Canada. If You Leave Me Can I Come Too? & Too Many Times, two of the year’s biggest singles off the Platinum Album Cats And Dogs. Too Many Times goes to number 19 in Canada. The Nips Are Getting Bigger and the album Get Wet hit Top 20 in Australia. Nips released in UK, reaches indy Top 40. Move to the Civic Hotel, Sydney, for another year long residency on a larger stage. 1977 – 16th August (the night Elvis died). 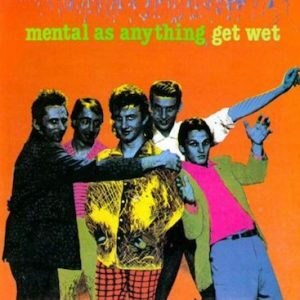 MENTAL AS ANYTHING (Reg Mombassa, Greedy Smith, Martin Plaza, Wayne ‘Bird’ Delisle and Peter O’Doherty) perform together for the first time at the Cellblock Theatre, East Sydney Tech. Start a year long residency at the Unicorn Hotel, Sydney (using the pool table as their stage).